The famous Speyside distillery have announced their sponsorship of a new interactive experience. The Glenlivet Legacy Trail uses geocaching technology, which is a high-tech treasure hunting activity using handheld GPS systems that has been used by over five million people around the world. The Glenlivet Legacy Trail is one such treasure hunt, which is based in the streets of Edinburgh and is designed to take both locals and tourists around various sights in the city and teach them history. Each person or group taking part will have to find a series of hidden boxes, called ‘geocaches’, and landmarks include Edinburgh Castle and The Royal Mile. Further details of the Glenlivet Legacy Trail can be found at www.geocaching.com. 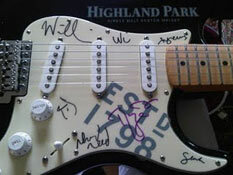 Highland Park > Win a guitar! In a brand new competition, which has been launched today, the distillery from the Orkney islands are offering one lucky person the chance to win a guitar. The guitar (pictured, left) has been signed by the members of the multi-award winning band Arcade Fire – they recently celebrated the UK leg of their juggernaut of a world tour with the guys from Highland Park. As a thank you, the band have signed a special Highland Park guitar. For the chance to win, visit the special Highland Park Facebook page, ‘Like’ them, enter your details and keep your fingers crossed! 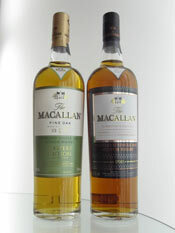 These whiskies are two exciting new releases from Macallan - one of the most famous names in the world of whisky. The distillery and brand name are both well known and the single malt range is consistently in third place for world sales, behind only Glenfiddich and Glenlivet. Here they have produced two limited edition whiskies in different styles – the Director’s Edition has been matured in ex-sherry casks in the traditional Macallan vein and the Masters' Edition has been matured in a combination of ex-sherry and ex-bourbon casks. This carries the Fine Oak label, which indicates this mixed maturation. The whiskies have been constructed using different ages of single malt to create the desired flavour profiles and characteristics. Both are bottled at 40% ABV and both are being sold exclusively by The Whisky Shop – the UK’s largest specialist whisky chain. The Director’s Edition is selling for £39.99 and the Masters' Edition for £33.99. 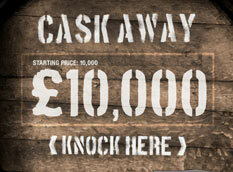 They can be purchased in any of The Whisky Shop’s 17 stores in the UK or via www.whiskyshop.com. The news is that these limited whiskies are already selling fast and they only hit the shelves early last week. The distillery is located close to the village of Craigellachie in the Speyside whisky region of Scotland and sits within a large estate, which overlooks the mighty River Spey. It was founded in 1824 by Alexander Reid and was originally called Elchies, after estate in which it is located. Other than the distillery, the estate is known for Elchies House and this can be found on the current Macallan packaging. The name of the distillery was changed to Macallan in 1892, following a change of ownership. The current owners are The Edrington Group, who have recently expanded the distillery to have a massive annual production capacity of 8.75 million litres. The colour is a rich golden amber and the nose has a lovely sweetness to it. The key aromas are caramel, vanilla and crumbly brown sugar. These are backed up by plenty of dark dried fruits (think of raisins, sultanas and a hint of candied orange peel), soft barley and oaky wood spices (imagine cinnamon and nutmeg). On the palate, this is again initially sweet and full of notes such as caramel, toffee, vanilla and the dried fruits from the nose. It feels soft and gentle in your mouth, before some wood spice (cinnamon and nutmeg again) and some tangy orange zest give it a lift and a bit more depth. An underlying note of bittersweet cereal grains has the same effect. The finish is warming and rich, again with initial caramel and dried fruit. The wood spices (add in a hint of fiery ginger now) and bittersweet cereals gives the lingering finish a drier edge right at the end. The colour of this whisky is golden yellow with a hint of amber and the nose is a combination between sweeter, richer aromas and lighter, fresher ones. The sweeter aromas included distinct notes of sultana and malted barley, along with honey, vanilla and coconut. The fresher aromas predominantly include crisp green pears and apples, plus a hint of lemon zest. On the palate, this is initially slightly tangy with the pear, apple and lemon at the fore front. It is not long before the sweeter notes kick in with plenty of honey, sultana and malted barley in evidence. Right at the end, some light wood spices (think of cinnamon and nutmeg) and note resembling wafer biscuits appear and add soem depth and complexity. The finish is soft with pleasant sultana sweetness, which combines with the green fruit and spices to give a tangier and spicier than expected ending. Macallan have produced two good whiskies for these exclusive bottlings for The Whisky Shop chain. They both fit safely into the distillery's regular range and flavour profile - the Director's Edition being in their traditional sherry cask matured, rich and sweet style and the Masters' Edition being in their lighter, fresher Fine Oak style. As a result, between the two they cover a wider range of personal taste and therefore have a wider appeal. Both are lovely, but in different ways, and it is hard to pick a favourite - we guess it depends what mood you are in! This whisky is a new release from the renowned Lowland distillery of Auchentoshan. The 1999 Bordeaux Wine Cask is a limited edition whisky which has spent the entire 11 years of its maturation in an ex-red wine cask from the famous French wine region. This is unusual as most distilleries that have released a wine cask matured whisky to date, have so far only used that cask to ‘finish’ the whisky (eg – it spends just a short period of time in the wine cask after maturing in something else). Therefore, to get a whisky that has been 100% matured in wine is rare and the chance to try it is exciting. It has been bottled at an alcoholic strength of 58% ABV and you should find a bottle for about £50 in specialist whisky retailers. 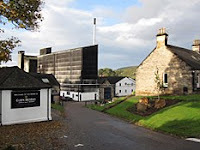 Auchentoshan (which is pronounced ock-en-tosh-an) is the distillery that is nearest to Glasgow. It sits to the north west of the city near Clydebank and was officially founded in 1823, although records show that a distillery called Duntocher was operating on the site as early as 1800. The current annual production capacity of Auchentoshan is 1.75 million litres and it is owned by Morrison Bowmore, which is part of the larger Japanese company of Suntory who took control in 1994. Auchentoshan translates as ‘corner of the field’ from the local form of Gaelic. Auchentoshan is unique amongst Scottish whisky distilleries as they triple distil every drop of their spirit. Elsewhere in Scotland the common practice is to distil twice, whereas triple distillation is more commonly associated with Irish whiskies. A few Scottish distilleries do occasionally distil a third time and these include Benriach and Springbank, who release it as Hazelburn. A number of theories exist as to why Auchentoshan is the only place to continually triple distil in Scotland. The most popular is that a number of the workers at the fledgling distillery in the 1820s had come over from Ireland to escape the poverty there- they bought the practice with them and it exists to this day. The colour of the whisky is extraordinary, being dark amber with a gorgeous reddish/pink tint, which has clearly come from the red wine cask. The aromas on the nose are strong and powerful with plenty of initial burnt sugar, caramel and warming peppery spice. Then comes some honeycomb and a good dose of rich, red fruit (think of dark berries and blackcurrants). With further time in the glass, and once your nostrils have got used to the high alcoholic strength, more subtle hints start to appear - cinnamon, nutmeg, orange oil, gristy cereals and damp wood shavings. On the palate, this is intense when taken neat! The high ABV gives a powerful kick off and your mouth quickly heats up with plenty of peppery wood spice. This begins to subside to reveal notes of lovely, rich caramel and dark dried fruits (imagine raisins and prunes). The spiciness is never far away with plenty of drying cinnamon and nutmeg present. Sweeter notes of brown sugar and honey balance this a little. Some robust cereals, obvious spiced orange and further dried fruit add to the intensity. The finish is very long, lasting a good 6-7 minutes after you have swallowed. It is predominantly dry with an abundance of pleasant tannin coming from the wine cask. The caramel/slightly burnt brown sugar is also evident, as are the red and dried fruits which fade quicker than the other elements mentioned. The high ABV strength and the intensity of the whisky when neat ask for some water to be added. This immediately softens the peppery spice and the alcoholic burn. It also dampens the red and dried fruits and other wood spices, but allows the sweeter caramel and honey notes to shine through. The majority may find it more balanced this way but, as always, it is personal taste. We found that it could take quite a lot of water (we are talking 10-12 good drops here) and still hold together very well, where other whiskies may have fallen apart. This is a lovely whisky that is a successful experiment by Auchentoshan. However, to make it lovely (to our taste buds anyway!) you need to persevere with it and add plenty of water. How much water you add will depend on your own taste. The high alcohol strength, plus the intense and almost exaggerated notes from the red wine cask, make this a daunting prospect, before the water softens it to allow some sumptuous aromas and flavours through. At the launch of this whisky, it was hinted at that Auchentoshan had some other such experiments up their sleeves – it will be interesting to see what they are! The bourbon distillery based in Frankfort, Kentucky have unveiled two new un-aged whiskies – White Dog Wheated Mash and White Dog Rye Mash. These join the existing White Dog Mash #1 (pictured, left) in their 'white whiskey' range. The whiskeys are bottled fresh from the stills at their natural strengths. 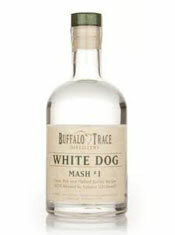 Wheated Mash White Dog is distilled from corn, barley and wheat and is bottled at 114 proof. The Rye Mash White Dog is made from corn, barley, and rye grains. This is bottled at 125 proof. Kris Comstock, the Buffalo Trace Brand Manager, said “Hopefully bartenders and consumers will come up with some creative cocktails using the new Wheat and Rye versions. If nothing else, you can see how these whiskeys taste before and after barrel aging.” The three versions in Buffalo Trace's White Dog range will be available in 375ml bottles only, at a suggested retail price of $15.99 per bottle. The innovative online retailer Master of Malt have just bottled a new single cask of Dailuaine. Bottlings of this little known Speyside distillery are rare and eagerly anticipated. It was distilled in 1983 and has been aged for 27 years in a single refill ex-sherry hogshead. The whisky is released at the natural cask strength of 53.6% ABV and will retail for £64.95. The Master of Malt tasting notes for this exclusive whisky are - the nose offers ginger, and oily, toasty malt, and on the palate there are notes of golden syrup, gingerbread, barley, vanilla and sweet oak, developing into a spicy, dessert wine-like finish. 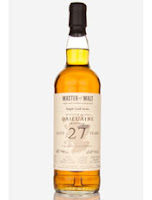 There are only 231 bottles and they can be purchased only from www.masterofmalt.com. 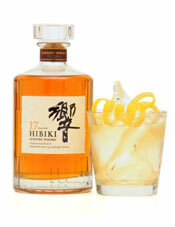 The multi award winning Japanese whisky giants, who own the Hakushu and Yamazaki distilleries and the Hibiki blended brands, have created two new whisky cocktails using their products. These are designed to help combat the oncoming Autumn months and have been created by Suntory Brand Ambassador Zoran Peric. The first is the Hibiki Hakuro (pictured, left) - made from 50ml Hibiki 17 Year Old, 50ml sugarcane juice, 2.5ml milk thistle - and this is made by pouring the ingredients over ice and stirring thoroughly, before serving in a highball glass and garnishing with a twist of orange zest. The second is the Hakushu Shuubun – made with 50ml Hakushu 12 Year Old single malt whisky, 20ml Yuzu juice, 20ml gomme syrup and an egg white - and this is made by shaking the ingredients thoroughly and pouring into a cocktail goblet, before garnishing with lemon twist. Our good friends at the popular whisky social network Whisky Connosr, Jean-Luc and Pierre, have announced an exciting whisky and music festival in London. They have teamed up with promoters Brand New Music to create the event, which will be held at The Relentless Garage (opposite Highbury & Islington tube station) over the weekend of 24-25 September. The music will be supplied by such acts as The Raveonettes, James Yorkston and Electric Soft Parade. The whisky brands involved include Ardbeg, AnCnoc, Cooley, Dewar's and Whyte & Mackay, with whisky writer Dominic Roskrow holding tastings also. Tickets are £28.50 each for each day and this includes vouchers for eight drams or cocktails and access to all of the music. Please visit www.purefestival.com to book your tickets. 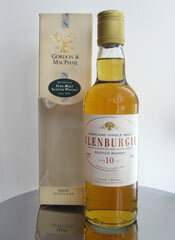 Glenburgie (pronounced glen-burg-ee) is a little known distillery located in the Speyside whisky region of Scotland. It sits just off the main Aberdeen-Inverness road, between Forres and Elgin. Glenburgie was founded in 1810 by William Paul and was originally named Kilnflat - it was renamed as Glenburgie in 1878. The current owners are Chivas Brothers, part of the larger Pernod Ricard group, and they took control in 2005. The whisky produced at the distillery is one of the major single malts used in their famous and best selling Ballantine’s blended whisky range. Glenburgie has been one of the main single malts used in Ballantine’s since 1935, when the brands owners purchased the distillery so as to secure a regular and consistent supply. There are no official bottlings of Glenburgie released by the distillery and there are only very occasional releases from independent bottling companies. Therefore the chance to try any Glenburgie single malt is rare. This bottling is released by the award winning independent bottler Gordon & MacPhail and has been matured in a combination of first fill and re-fill ex-sherry casks. 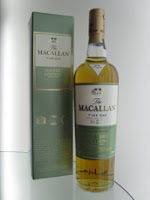 It has a strength of 40% ABV and we purchased a 35cl half bottle, which cost around £15. A full 70cl bottle is available for £25-30. It is available from selected specialist whisky retailers. Gordon & MacPhail are a company based in the city of Elgin. They still operate from their original premises that were constructed when the company was set up by James Gordon and John Alexander Macphail in 1895. They started off bottling whisky for the numerous local distilleries and also some blending and vatting. Business grew rapidly and they were soon joined by John Urquhart, whose family still own and manage the company today. Gordon & Macphail are one of the largest independent bottlers in Scotland, with over 300 own bottlings in their catalogue. Whiskies are selected from numerous distilleries around Scotland and released in a number of ranges. They also own the Benromach distillery in nearby Forres. The colour is golden yellow and the nose is lovely, interesting and immediately inviting. There is a strong initial aroma of fudge-like sweetness with some vanilla, honey and robust oak underneath. With time in the glass, further refined aromas appear - think of hazelnut praline, dried grasses/hay, butter shortbread and hints of orange oil and sultana. On the palate, this feels creamy and lightly oily. The sweetness again comes first with honey and vanilla particularly prominent. Notes of buttery shortbread and hazelnut praline add to the feeling of creaminess in the mouth. Then comes a slightly tangy, slightly astringent yet pleasant hit of oak and wood spice (imagine wood shavings mixed with cinnamon and the tiniest hint of ginger), which dries and cleanses the palate well. Underneath are delicate notes of coconut, cereal grains, orange oil and hay. The balance is spot on with the sweet, bittersweet and spiced wood elements complimenting each other superbly. The finish is dripping with honey-like sweetness but turns more bittersweet and oaky as it fades from your taste buds. There is a final hit of coconut at the death. This is an outstanding whisky and one which demonstrates perfectly the standards that can be achieved by an independent bottling company through the sympathetic use of quality casks for maturation. Gordon & MacPhail are one of the few independent bottlers who send their own casks to be filled at the distilleries and they pride themselves on the quality of the oak that they source and use for their casks. When you taste a whisky like this, it makes you wonder why single malt from a little known distillery (in this case Glenburgie) is not more widely available. This one is worth searching out - it's delicious and a bargain! The Earl Haakon is the much anticipated new release from the Highland Park distillery. It is the third and final edition in their Magnus series - the first two bottlings (Earl Magnus and Saint Magnus) - celebrated the influential 11th century Viking Magnus (the clue was in the name!). This one is named after Magnus’ deceitful cousin Haakon, who was extremely violent as legend says and actually ordered Magnus’ death. Therefore, this new whisky is said to highlight the darker and more sinister nature of its namesake. The Earl Haakon is 18 years of age, is bottled at a cask strength of 54.9% ABV and the limited release consists of 3,300 bottles. These will be available shortly from specialist whisky retailers for £160 a bottle, which is made of handsome black glass. Highland Park distillery is located on the Orkney islands to the north of the Scottish mainland and is the most northern whisky distillery in Scotland. In fact, it is one of the most northern distilleries of any kind in the world, beating others in Canada and Russia. Highland Park is located close to the capital of Kirkwall and is one of only two distilleries on the main island (Scapa being the other). Highland Park is also one of the oldest whisky distilleries in Scotland - it was established in 1798 by Magnus Eunson. The award winning range makes Highland Park one of the best selling single malt whiskies in the world. It is currently owned by the Edrington Group and has an annual production capacity of 2.5 million litres.The core range is extensive and covers numerous age points and these are joined by a Duty Free/travel retail exclusive range, which are selected from specific vintage years. The colour of the Earl Haakon is a golden amber and the nose is clean, expressive and oozes quality. There is a lovely sweetness initially, which is reminiscent of slightly burnt brown sugar or caramel. This sweetness carries on but is joined by other aromas - plenty of wood spice (oak, cedar wood, ginger), dried fruit (especially candied orange peel), damp woody smoke and wet cereal grains. These all add depth and intrigue to the nose. On the palate, the whisky is immediately warming with more of the damp woody smoke in evidence than the nose suggested. This soft smokiness combines superbly with some decent sweetness (again driven by caramel, brown sugar and soft dried fruit, especially sultana) and a lovely, intense spiciness which grips your taste buds (think of cedarwood, ginger and robust cereals). Underneath are subtle notes of tangy orange zest and fresh peach. The finish is very long and is sweet to begin with (that caramel again). Then come some bittersweet cereal notes, before it turns dry with plenty of the oak spices evident. The soft wood smoke compliments this and lingers for a good five minutes or so. The Earl Haakon is a very interesting and well balanced whisky. Having not tasted the first two releases in the series, we cannot compare it to them but this whisky stands up well on its own anyway. It combines richness, sweetness, spiciness and a decent level of smokiness - all characteristics which Highland Park is well known for and for which they consistently win awards. The whisky also stands up well to the addition of water, which softens the spicy and smoky notes but enhances the delicious caramel-like sweetness. The Great King Street 'Artist's Blend' is the exciting new whisky release from the innovative independent blending company of Compass Box. They have released a string of award winning whiskies, which have won much acclaim around the world. Compass Box's mission is to get people drinking quality blended whiskies and present an alternative for the descerning single malt drinker. This whisky contains around 50% single malt (a relatively high amount for a blend) and 50% of quality, aged grain whisky (said to be about 12 years old). It is named after the street where the company's headquarters are located in Edinburgh and has been matured in French oak casks. 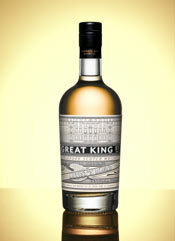 Great King Street 'Artist's Blend' has been released in 50cl bottles at a strength of 43% ABV and should cost around the £25 mark from specialist whisky retailers. Last week we were delighted to be invited the Glen Moray distillery, which is located in Elgin in the Speyside whisky region of Scotland. The reason for the invite was to attend a product launch and dinner, which was held at the distillery, and an in-depth tour of the facilities. The product in question was the new 10 years old Chardonnay Cask, a review of which will appear here shortly. The distillery is currently owned by French beverage company La Martiniquaise, who bottle the whisky produced at Glen Moray in a concise range of single malts as well as using it in their range of blended whiskies such as Label 5. It may surprise a few people, but the Glen Moray is one of the biggest selling single malts in the UK market (beating well known heavyweights like Laphroaig and Macallan) and Label 5 is one of the best sellers in France. We have been to Glen Moray before and it remains one of our favourite distilleries visited to date. To read our full notes on that previous tour, please go to our Distillery Visit > Glen Moray post. The thing that strikes you about the distillery is the relaxed and informal atmosphere that surrounds the place, which makes you feel instantly welcome and at home. This feeling stems from a combination of the people that work there and the surroundings in which Glen Moray sits. Everyone that we met over our two day stay was friendly and willing to impart an endless string of information and anecdotes about the distillery and their working life there. Some of these we have listed below. This, combined with the fact that it is located on the edge of the city of Elgin and sits tucked away on the bank of the River Lossie, makes it an idyllic place which spreads out naturally in to the surrounding countryside. We were delighted to be able to talk to numerous interesting people from the distillery and thank them for their time and for making us feel so welcome. These include Visitor Centre Manager Iain Allan, Visitor Centre Assistants Emma and Lois, Distillery Manager Graham Coull, former Distillery Manager Ed Dodson and Director of UK Operations for La Martiniquaise Ian Palmer. We learnt numerous interesting facts and figures from them (far too many to mention or remember!) and shared some lovely whiskies with them. The distillery, which was formerly a brewery, was built on land known locally as Gallow's Hill. This refers to the time when public hangings took place on the site. The last hanging took place in the late 1600s and human remains were found when digging some of the foundations for the buildings. Former owners LVMH (Louis Vuitton Moet Hennessey) used the distillery as a centre for experimentation with different cask maturation. This included the introduction of wine casks, instead of the traditional ex-bourbon or ex-sherry casks, and the new 10 years old Chardonnay Cask is a direct result of this experimentation. La Martiniquaise and Graham Coull have continued and expanded this experimentation and innovation by exploring an even wider range of different casks for maturation. In addition, they produced their first peaty spirit at the beginning of this year. In November 2002, the nearby River Lossie burst its banks following a sustained period of heavy rain. The subsequent flood was the worst in living memory and caused thousands of pounds of damage. This included damage to some of the warehouses, which saw casks (both empty and full of whisky) floating off down the river! On our video below, you can see the small marker that shows the level that the water reached. It a small square black marker, which is seen just below a window about 27/28 seconds in to the clip - click here to see some pictures of Elgin during the flood, including an image of the distillery submerged! We have compiled a short film of our tour around Glen Moray, which we hope helps to bring you the sounds and sights of the distillery. In the film you will see all aspects of the whisky making process - milling, mashing, fermentation, distilling and maturation. We hope that you enjoy watching - if you do then check out our new channel on YouTube for further video clips. 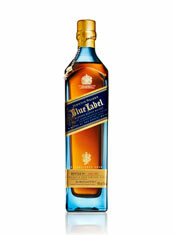 Diageo, the owners of the popular blended whisky brand of Johnnie Walker, have released details of a new bottle design for their premium Blue Label blend. The new design is inspired by the brand’s original bottle from 1867 with its thick light blue glass base and sides. The design was recently launched in Delhi, India. To commemorate the launch, the first 1,867 bottles have been numbered in order to pay homage to the original 19th century design. The distillery on the island of Islay, which is world famous for its smoky, peaty whiskies, has launched its new website – www.laphroaig.com. The new website carries a number of interesting updated features and replaces the old website, which had served for the last 10 years. Sections within the new site include pages on the whiskies, distillery, history, Islay, online shop and the Friends of Laphroaig – a fan club which is free to join and entitles you to occasional discounts and limited edition bottlings. All sections include short descriptive films which bring the distillery, its people and its whisky to life. The Friends of Laphroaig pages allows members to customise their profile and is interactive. 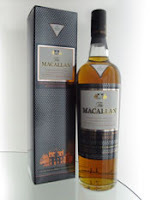 A very good upgrade, which makes this famous distillery very personable. Check it our by clicking the link above. Some time ago, we covered the launch of the second Masters of Photography competition which was being run by Macallan, the famous Speyside whisky distillery. This was to be judged by a panel headed by esteemed photographer Albert Watson. The result has now been announced and the winner is Luke Bhothipiti from America with his photograph ‘Waiting For The Eclipse’ (pictured, above). This shows a group of Luke’s friends sitting around a campfire at night waiting for a once in a lifetime view of a lunar eclipse last December. Over 7,000 entries were registered for the competition and nearly 95,000 people voted for their favourites online. Congratulations to Luke, who wins another once in a lifetime experience – a photographic masterclass with Albert Watson. As two former photographic students, we are jealous! Talisker > Hosting an unusual movie event! The iconic single malt from the isle of Skye has announced its sponsorship of a movie event with a difference. Next week is the famous Cowes Week – an annual international yachting event held at Cowes on the Isle of Wight, off the southern English coast. On Friday 12 August, a huge cinema screen is being erected in Cowes harbour! Named the Talisker Sail-In Cinema, this screen will show the movie Master and Commander: The Far Side of the World and participants in the various competitions are invited to ‘park’ their boats and watch the movie, in a similar way to the drive-in movie screens found in America. In addition, the public can also watch the event for free from the quayside. The film begins at 7pm. The screening will be followed by a fireworks display, which traditionally closes the week of competition each year. For more info, go to Talisker’s Facebook page – www.facebook.com/talisker. The Whisky Round Table has just celebrated its first year and all 12 members have now hosted. For the start of the second year the baton has so far passed back to founder Jason and Joshua Hatton of The Jewish Single Malt Whisky Society. This month sees the turn of Peter Lemon, who writes the informative blog The Casks from the west coast of America. He has asked a question regarding the use of premium whiskies in cocktails. It has created some mixed and very interesting responses from the Round Table members, so grab a dram and put your feet up - click here to read everyone's answers. We hope that you enjoy the debate and please feel free to add a comment at the bottom of Peter's posting. What are your views about this subject? Who do you agree with?